Chris Baillargeon, who holds a Bachelors of Science degree in Aviation/Air Traffic Management from Daniel Webster College, is now a Director of Business Development, for Welsch Aviation, Inc. based out of the Washington, D.C. office. 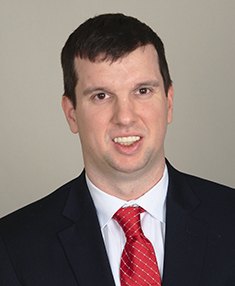 Chris, a New England native originally moved to the New York area in 2007 where his aviation career began working as an Aircraft Management Specialist focusing on flight and charter coordination. Subsequently Chris joined an aircraft broker in 2010 as a Sales Analyst specializing in supporting clientele and creating comparative analysis information sheets. After accumulating 8 years of experience Chris joined the Welsch Aviation team to expand his experience developing new clientele and supporting the tried and true methodology Welsch Aviation has practiced for seven generations and counting. Chris resides in Northern Virginia with his wife Caitlin and son Landyn. When not at work or with his family, there is a good chance you’ll find Chris honing his skills at the local hockey rink where he both plays in and officiates games.